Like any other product on the market, it is very hard to find a floor that stands the test of time. Of course, most people are looking for floors that are stain, spills, and chemical resistant. Each type of floor has its own advantages and disadvantages. Metallic epoxy is one of that best flooring options as it has fewer disadvantages and several advantages. However, it’s good to examine both the advantages and disadvantages of metallic epoxy floors if you think of installing it in your home. What makes metallic epoxy a great choice is the number of benefits that come with it. The modern market gives you several options for designing your space more than ever before. Most of these floors are a pure function, but the metallic epoxy coating will give you a floor that comes with a lot of ‘wow’ factor and is extremely functional. By definition, metallic epoxy is a type of solid epoxy that contains metallic and glitter-like particles that are embedded in it. When you mix and apply this product in the right manner, the result is an eye-catching effect that is extremely distinctive with what seems to be three-dimensional swirls shimmering all over the flooring. The other thing that gives it a more interesting look is that fact that the material is reflective. Its good to understand the environmental demands of the place you will be installing the metallic epoxy before you make the final decision. Let us go through some of the pros and cons of metallic epoxy. Many a time you will see visitors who are walking through a foyer that is coated with metallic epoxy stopping and gaping. Most individuals are accustomed to floors that are utilitarian and dull. Metallic epoxy coating captures their attention in a very special way. In addition to this, because of the nature of this material, each installation comes with fully unique swirls and designs. A floor that is covered with metallic epoxy is surely one of its own. Metallic epoxy is very common in retail areas and other spaces where you seriously want to display the room and its contents. This will enhance the overall environment of the room without subtracting anything from the products you wish to showcase. 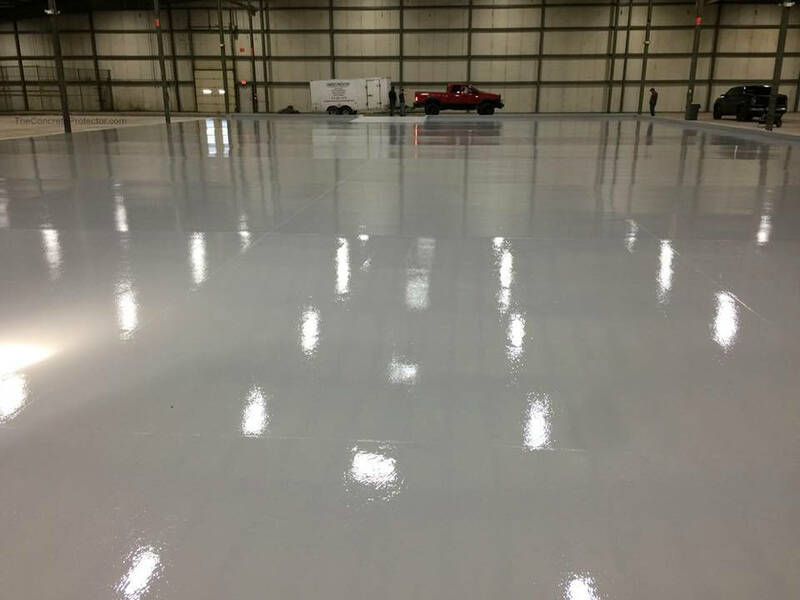 Unlike other epoxy coats, you can apply metallic epoxy as a single seamless coating even on floors that have unconventional topography or layouts. This will make is exceptionally simple to clean and the fact that it lacks seams implies that it cannot easily harbor microbial life. Therefore, you can install it in industrial kitchens among other areas that call for high levels of hygiene. Metallic epoxy can look slippery because it is reflective but in the real sense, it is not. Epoxy is one of the best options if you are looking for a non-slip floor. You can also add top coatings that make it even more non-slip and you can deal with this issue. The life expectancy of metallic epoxy is one of its strong points. Solid epoxy is highly durable and you can still engineer it further to enhance its longevity. A metallic epoxy floor that is properly installed will last you for so many years with very few maintenances. In case the surface has damages from falling objects or other forms of abrasions, you can always repair it at a very insignificant cost. The truth of the matter is that metallic epoxy has very few drawbacks. In fact, you will discover that these are thigged that you can handle with a lot of ease. The metallic particles in this construction material will not interfere with its basic properties as an ideal flooring substance. The substance is as reliable and strong as the other types of epoxy coating. Here are some of the drawbacks that you may encounter. Solid epoxy ranks among the most expensive flooring coatings in the market and metallic epoxy is a special combination. Expect the cost per square of metallic epoxy to be higher for you to get the desires eye-catching floor. The good thing is that it outlasts all the other solutions in the long run. Therefore, the buying price of metallic epoxy may seem to be very high but it makes a lot of economic sense in the long run. This flooring will surely give you the value for your money. Therefore, this will only remain to be a drawback if you fail to do your due diligence. Metallic epoxy flooring is so popular in the modern times. The truth of the matter is that this material will still be trending in the coming several years. Technology is moving very fast but it will not be easy to get something that will overtake metallic epoxy in quality. However, this material may not be the best option for a person who is looking for a timeless choice that will run for several decades without doing s stylistic update. You will obviously have to upgrade your flooring after several years of use.